Bellator MMA Grand Prix has reached semi-finals, and president Scott Coker updates about Heavyweight Tournament matchups. There will be a tremendous spectacle – both Matt Mitrione Vs Ryan Bader and Fedor Emelianenko Vs Chael Sonnen are planned for October. 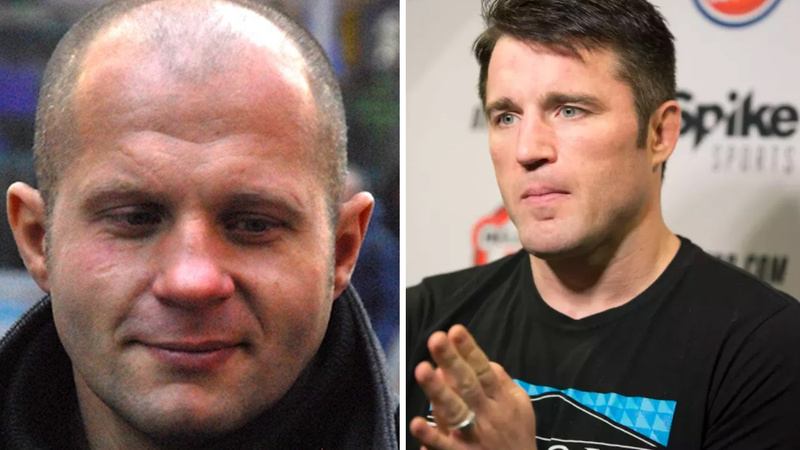 We have an MMA legend and the best Russian competitor of all time, Fedor Emelianenko, at one side of the bracket, who will face one of the worst UFC trash-talkers of all time, Chael Sonnen. It will probably be one of the highest profile bouts in the history of Bellator MMA. On the other side, Ryan Bader and Matt Mitrione will cross their gloves. Scott Coker also claims there is a possibility of back-to-back nights when it comes to Heavyweight spectacles. He believes a perfect choice for one fight would be Friday night, and this should be broadcasted on Paramount Network/DAZN, while the second fight would be exclusively streamed by DAZN on Saturday night. Bellator MMA and streaming service DAZN have recently signed a five-year broadcasting deal, which is planned to start since September. The first fights which will be broadcasted by DAZN are the showdown between Rory Macdonald and Gegard Mousasi, Wanderlei Silva Vs Rampage Jackson 4, and a Welterweight tournament quarterfinal matchup. Fedor Emelianenko made a tremendous surprise by knocking Frank Mir after only 48 seconds in the first round out. Chael Sonnen defeated Rampage Jackson via decision, while Ryan Bader sent Muhammad Lawal to sleep after only 15 seconds! Matt Mitrione earned a tough split decision victory over Roy Nelson. What do you think, does Scott Coker plan to sign more former UFC superstars? Is Lyoto Machida just a beginning? More details on tournament locations and dates will be released soon. Currently, the host of Fedor Emelinaneko Vs Chael Sonnen is Chicago. Stay tuned! Fedor Emelianenko Defeats Chael Sonnen Via First-Round TKO And Advances To The Finals!